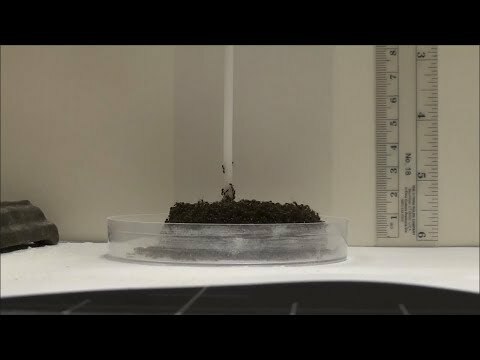 When fire ants run into tall obstructions while looking for food or trying to escape, they use their bodies to construct Eiffel Tower-looking structures. A new study from the College of Engineering and College of Sciences suggests that the insects build these structures without a leader or coordinated effort. Each ant wanders around aimlessly, adhering to a certain set of rules, until it unknowingly participates in the construction of a tower several inches tall. The tower study is a follow-up to the group’s 2014 ant raft research, which examined how the insects link their bodies in order to build waterproof structures that stay afloat for months. The ants march along until they come to an open space — the edge of the raft — then settle in to become a building block of the raft. They do the same thing for the towers, searching for an empty spot like a car in a crowded parking lot. Once an individual ant finds one, typically at the top of the tower, she stops and braces for more ants to climb on top and go vertical. Learn more about how they do it, why the towers are always sinking and why scientists and engineers should care about ant movements.